I am delighted to lend my personal support and that of Neath Port Talbot Local Authority to Peace Mala. I have seen at first hand the positive contribution involvement in Peace Mala can bring to a school, and the wider community in promoting tolerance, compassion, and mutual respect for one another's beliefs and culture. Seeing the joy pupils get from participating in activities but more importantly their confidence in confronting issues of hate, prejudice and bullying is impressive, and as a result I am determined that more of our schools will be encouraged to engage with Peace Mala. Best wishes to all associated with the Project. He trained as a Teacher at the Cardiff College of Education and as a postgraduate student at North East London Polytechnic. Mr Napieralla's early career as a teacher was spent in Hassenbrook School, Essex, where he became Head of History and a Head of Year. In 1982, he was appointed to the post of Senior House Tutor at Cefn Hengoed School in Swansea, and in 1986 became Deputy Headteacher of Cwrt Sart Comprehensive where he subsequently became Headteacher. In 1995 Mr Napieralla was appointed Assistant Director for Schools and Lifelong Learning in the newly formed Neath Port Talbot County Borough Council, and following a period where he was Acting Director, he became Corporate Director with responsibility for Education, Leisure and Lifelong Learning in 2000. Mr Napieralla has completed a major task of restructuring the Directorate bringing together Schools, Education and Lifelong Learning Services, with Leisure, Culture and Libraries. He was also responsible for setting up an Industrial Provident Society (IPS) 'Celtic Leisure' which now runs all Indoor Leisure facilities for the County Borough. From April 2006 he became the Authority's Lead Director for Children with responsibility for the preparation and delivery of the Single Plan for Children. Professionally his interests include the Regeneration of Communities through Lifelong Learning and development of partnerships, the continuing drive for raising standards through approaches embracing inclusion and increasing the participation of Borough residents through leisure, cultural and learning or related activities. 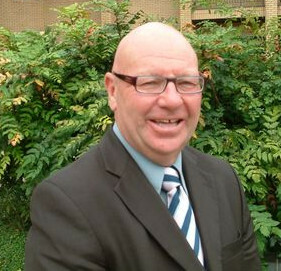 He is currently a driving force behind the Regional Learning Partnership establishing itself in South West Wales. Mr. Napieralla is a past Chair of the Association of Directors of Education Wales (ADEW) and serves on their Executive, as Chair of the ADEW Quality Assurance Group. In this role, he was involved in a number of national and international initiatives which included leading a delegation of Welsh Headteachers to Japan on behalf of the British Council; and represented ADEW and WAG at an ICSEI Conference in New Zealand. He is currently the lead officer for Local Government in Wales in the development of the School Effectiveness Framework (the new National System for Education in Wales) and will be once again representing his colleagues on the ICSEI Conference in January 2010 in Kuala Lumpa, Malaysia. He is a board member of the Careers Wales West and serves on a number of local and national committees as well as being an advisor for the Welsh Local Government Association (WLGA). Throughout his career, Mr Napieralla has promoted approaches to learning outside the classroom environment, through his direct participation in outdoor educational activities initially as a teacher and volunteer and more recently through strategic engagement with schools and a variety of organisations. In 2008 Mr Napieralla was awarded an OBE by her Majesty the Queen for services to Education in Wales. Having played and coached rugby and also soccer and hockey for many years, Mr Napieralla now supports the Ospreys at Rugby and is a life long supporter of Manchester United. His other interests include golf, travel, walking and he is a passionate follower of Youth Music. Mr Napieralla has two grown up children, Donna and Mark and currently lives in Clydach in the Swansea Valley with his partner Jan and step-daughter Katie. Education Development and Inclusion, Leisure, Libraries, Culture (Theatres and Museums), Youth, Adult and Continuing Education and Skills and Training.